What's the Cheapest Smart TV You Should Buy? The price of TVs varies wildly. You can be looking at thousands of dollars separating the cheapest models from the most expensive ones. Shopping for a TV The Best Netflix-Ready Smart TVs The Best Netflix-Ready Smart TVs Looking for the best Netflix-ready smart TV? We rounded up the best smart televisions that run Netflix without fuss. For as little as $135 to as much as $1,100. Read More is anything but one size fits all. Someone who wants to watch their favorite sitcom from the 90s a couple of times a week will need something completely different from a gamer who watches the latest movies as they become available. And that brings us to the big question: how cheap can you go on a smart TV? Is there a certain point where you’re sacrificing too much, or is it okay to get the cheapest of the cheap? What Makes a Cheap TV Cheap? Tv manufacturers need to cut some corners to get the prices down. Seeing as you’re reading an article about the most affordable smart TVs, I can safely assume that you want the TV you choose to have access to the internet so you can use Netflix Love The X-Files? 10 More Shows to Watch on Netflix Love The X-Files? 10 More Shows to Watch on Netflix The truth IS out there. Unfortunately, The X-Files may not be. For anyone missing Mulder and Scully, here are 10 shows on Netflix fans of The X-Files will enjoy. Read More , Hulu, and other online services. That cuts off the absolute cheapest models since they don’t come with those features (we offer a solution for that issue down below). The other quickest way to cut the price of a TV is to make it smaller. That said, with widescreen TVs, you’re going to want to look in the 40-inch range for a bedroom TV and the 50+ range for a living room TV. The exact size will vary depending on where you’re sitting, but you should plan to look for models in that size range and budget accordingly. I’ve always found that 32 inches feels too small. Throughout 2017, just about every TV is either LED, LCD, or OLED. Within the cheap price range, you can forget about OLED, so you’re going to be looking at LED LCDs. In the low-cost TV space, you’re also going to need to forget about getting HDR (high dynamic range) or 4K on your screen. While the price of 4K displays decreased sharply over the last year or so, lower resolution screens remain more reasonable. The first, and possibly most important, thing you should consider is the brand. No, I’m not saying buy Samsung over Sony or LG over Vizio. I’m saying buy one of those brands over no-name TV companies you’ve never heard of. Cheap or not, you want the TV to last as long as possible, and by sticking with reliable brands you’re going to get a warranty of at least a year 7 Ways Tech Can Help You Survive this Summer 7 Ways Tech Can Help You Survive this Summer Summer's sunshine and warmth seems like a beautiful dream... until it arrives and you remember how gross sweat, heat, and humidity are. These tools will keep you cool even during the hottest months. Read More , and you’ll at least have the confidence that the company will still be in business in a few years. You should also go with 1080p on a 40-inch screen or larger screen. If you’re okay with getting a 32-inch display, you can get by with 720p, but with the rise in popularity, the price jump from 720p to 1080p is relatively negligible. As we said before, you really should look for a 40-50-inch TV in a bedroom and a 55-inch or larger TV for the living room. Another thing to consider is that you’re looking for a TV that’ll last you a few years, and since 4K isn’t showing any signs of slowing down, locking yourself into 720p puts you two resolution jumps back. If you want to stay in the budget range, you’re not going to get a 4K TV unless you find a sale. With smart TVs, you’re obviously going to be using online streaming services, and all of the major ones are moving towards offering much of their content in 1080p (and a lot of it is even moving to 4K). The original argument against 1080p was always lack of content other than BluRay movies, but that’s not the case anymore. It’s worth it so you can make sure you’re taking advantage of the internet features you’re paying for. There’s a lot of cheap smart TVs Is a Smart TV Worth It in 2017? 6 Things to Check Before You Buy Is a Smart TV Worth It in 2017? 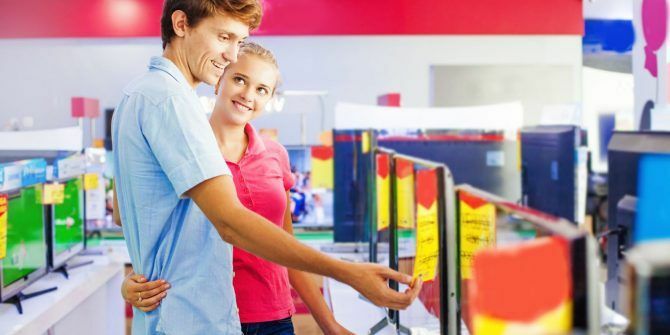 6 Things to Check Before You Buy These days, almost every TV is "smart" in some capacity, but there are several important features to look out for! Here's why 2017 is the best year yet for purchasing a smart TV. Read More out there (as most TVs include at least basic internet features), but the ones we’re going to look at offer an excellent balance of price and features. This is not an exhaustive list of cheap Smart TVs, as I’ve left off the bottom of the barrel (Element, Westinghouse, Insignia, et al.) displays. TCL is generally in that category, but regarding value, the Roku OS pushes it up a notch. And no, the Element Fire TV Edition Element Amazon Fire TV Edition Review: As Middling As It Gets Element Amazon Fire TV Edition Review: As Middling As It Gets The Fire TV integration is solid, but the quality of the display is just okay at best. The Fire TV part makes this TV woefully overpriced and not worth buying. Read More doesn’t make the list, as the 43-inch version costs more than any of the 50-inch models here. Of course, you can go bigger, but the price will go up, and most companies offer the 55-inch and larger models with 4K displays, which raises the price even higher. In the medium screen size, any of the three TVs above should serve you quite well without breaking the bank. Now that we’ve looked a few cheap smart TV models are that are worth grabbing, I’d like to throw a wrinkle at you real quick. 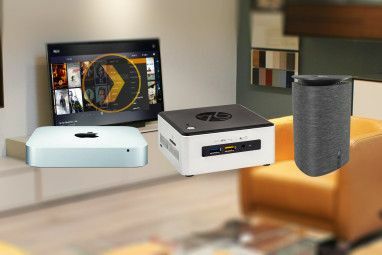 If you’re even a little tech-savvy, a cheap option is to get one of the abundant connected media players for your existing TV (assuming you already have a TV that matches up with the stuff we talked about earlier). We have plenty of articles on choosing those devices, including a comprehensive review of the Fire TV Amazon Fire TV And Fire TV Game Controller Review & Giveaway Amazon Fire TV And Fire TV Game Controller Review & Giveaway Amazon launched the Fire TV, a media center device not unlike the Apple TV, but with gaming as perk. 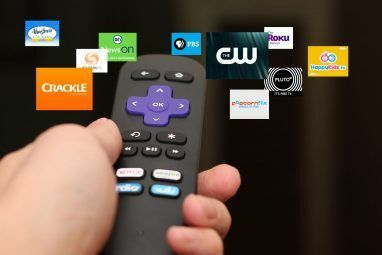 Read More , choosing a Roku player that meets your needs Which Roku Media Streamer Should You Buy? Which Roku Media Streamer Should You Buy? The current offering is split into five products – the Roku Streaming Stick, and the Roku 1, 2, 3, and 4. This article looks at what each product can offer, and tries to ascertain which... Read More , setting up Kodi on a Raspberry Pi Install Kodi to Turn Your Raspberry Pi Into a Home Media Center Install Kodi to Turn Your Raspberry Pi Into a Home Media Center If you have a Raspberry Pi, you can turn it into a cheap but effective home media center just by installing Kodi. Read More , picking a pre-installed Kodi box How to Choose the Best Kodi Box for Your Needs How to Choose the Best Kodi Box for Your Needs Want to buy a Kodi box but unsure which one you should choose? In this article, we recommend particular boxes for particular needs, helping you narrow your choices. Read More , and plenty more. The Pi sells for around $35, a Fire Stick goes for only $40, and they jump up from there. You can get many of the features of a smart TV The Easiest Raspberry Pi Media Centre, With RasPlex The Easiest Raspberry Pi Media Centre, With RasPlex Read More , but for less money. The drawback of going with an additional box is the loss of convenience. With a smart TV, you use the same remote, and you don’t need to change inputs. There are pros and cons on both sides, but it’s something to keep in mind when you’re shopping. Whether you want to watch Netflix, Hulu, WWE Network, or just about anything else online, a smart TV can make it happen. 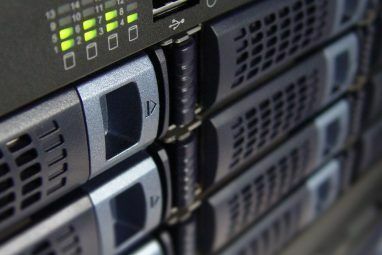 You’ll pay a little extra for those internet features, but as we’ve shown you, there are plenty of choices out there that won’t break your budget. What cheap smart TV do you recommend? Hit the comments section and let us know! Explore more about: Buying Tips, Smart TV. Buy a tv with good quality, buy a shield. No reason to have twice the crap in 1 if you can have 2 goods ones.